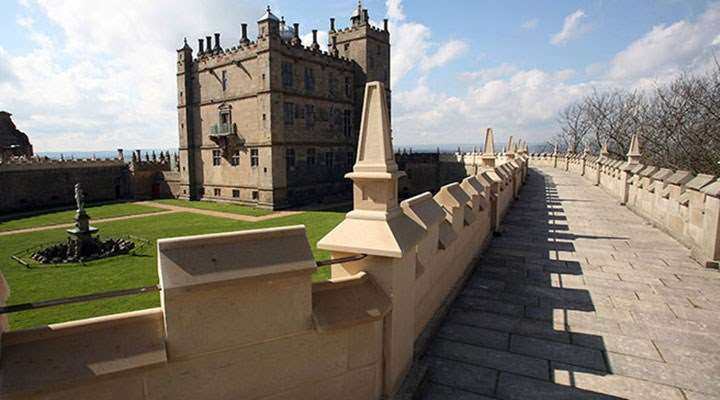 Perched on a ridge high above the Vale of Scarsdale, on the eastern edge of the Peak District, Bolsover Castle is an extraordinary aristocratic retreat. The exquisite ‘Little Castle’ has remarkable wall-paintings and interiors, and the Riding House is the earliest such building in England to survive complete. The building of the so-called ‘Little Castle’ began in the late 11th century by William Peveril, one of William the Conqueror’s knights, but it was neglected from the mid-14th century. The building work was then recommenced in 1612 by Sir Charles Cavendish as a retreat from his principal seat at Welbeck, a few miles away. When Charles Cavendish died in 1617 most of the structure was finished. His son William inherited the Little Castle and completed the interiors with the help of the architect John Smythson. What resulted was a kind of ‘toy keep’, housing tiers of luxurious state rooms. William also added the vast and stately Terrace Range overlooking the Vale of Scarsdale, now a dramatic roofless shell. In 1660, on returning to Bolsover Castle after the Civil War, William built the cavernous Riding House with its magnificent roof and viewing galleries. The Riding House is one of the earliest in England to survive complete and a landmark in British equestrianism. Here he indulged his passion for training great horses in stately dressage. 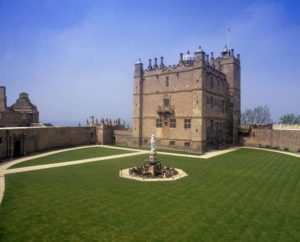 Bolsover Castle has been in the care of English Heritage since 1984. The Little Castle, Terrace Range and Riding House are all open to the public to explore, as are the beautiful gardens. The Fountain Garden, with the Venus Fountain as its centrepiece, has recently been replanted with 5,000 period plants to capture the spirit of the garden in its heyday. 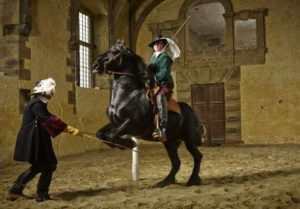 Horses are now once again a regular sight at Bolsover, with equestrian events frequently held in the Riding House. 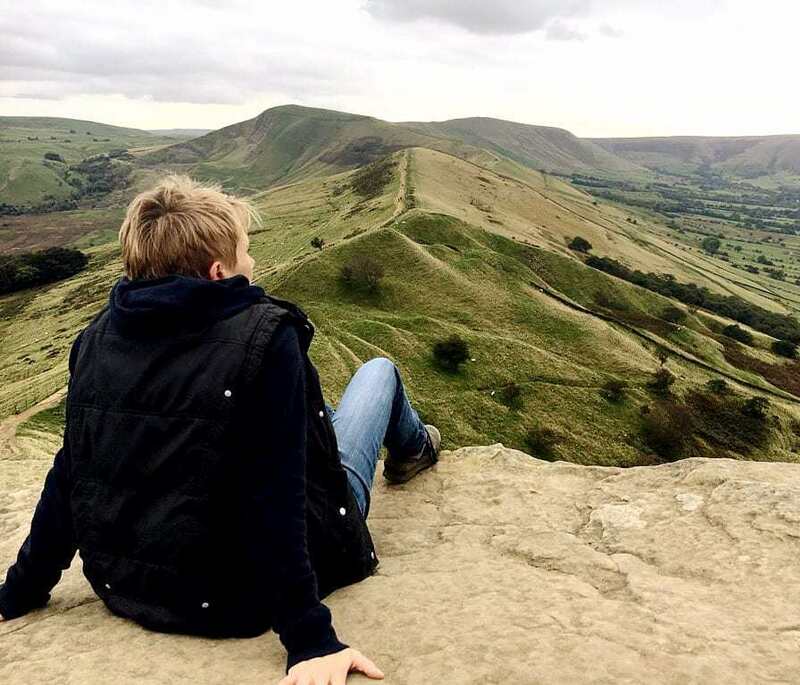 English Heritage has also recently restored the Wall Walk, allowing visitors to stroll along the Castle’s walls for the first time in nearly 250 years and enjoy the stunning views of the Vale of Scarsdale below. There is a café, gift shop and children’s playground on site.